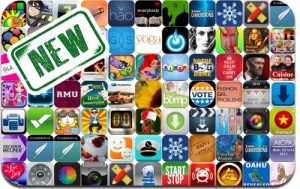 iOSnoops is constantly on the lookout for new apps, and here are 73 iPhone, iPad and iPod touch apps released recently. This new apps alert includes Bingo Run, Collapse! Blast, Thief Job, Garfield’s Diner Hawaii, Amoeba Wars, Afterglow, Decision-Helper, VoterHub, Dead Magician, Curiosity, ZeroHour, Basic Draw, Weather Widgets, I Love Lucy, and many others.